Cork City are on the road again on tonight, as they travel west to face Sligo Rovers at the Showgrounds. 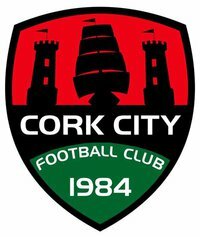 City followed up their opening day win at St. Pat’s with a home victory over Waterford at Turner’s Cross on Friday night, giving the 2017 league champions two wins from two at the start of their title defence. Sligo also come into the game on the back of a home win on Friday night, as they recorded a 2-1 triumph over Derry City. That result saw Sligo record their first points of the season, having fallen to a 1-0 defeat at home to Limerick on the opening day. Garry Buckley returned from injury to score on Friday night, however Johnny Dunleavy and Josh O’Hanlon are both still side-lined. Graham Cummins returns to the squad having served a one match suspension, while Conor McCarthy will have a late fitness test after missing Friday’s win.